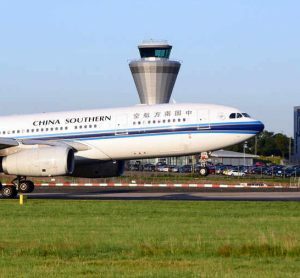 Birmingham Airport wanted the best possible welcome for their Chinese visitors when they secured a new series of charter flights arriving directly from Beijing. So they approached Capela China to run a series of training courses and consult about the style of the welcome. A wide-ranging series of arrangements were made for the Chinese arrivals – welcoming translators, Chinese signage, dedicated tax-free rebate desks, freely accessible wifi and much more. A full week of China Welcome training was arranged 3 weeks before the first arrivals. Birmingham Airport staff joined the most extensive China Welcome training imaginable. In the airport over 60 delegates were trained including managers, customer services, check-in, retail, even security. The latter even learned to politely ask in Mandarin whether they might open your bag! A full broad-ranging China Welcome course was undertaken by them all, though always homing in on the key areas relevant to that particular group of delegates. The 2014 charter series Beijing-Birmingham was highly successful and followed by even greater success in 2015, in large part due to the commitment shown by managers and staff in thorough preparation for their Chinese arrivals. PR coverage and social media referencing in China were great. A mood of China Welcome permeated the airport. Subsequently Visit Solihull picked up the baton with extensive China Welcome training for businesses in the local area.